Your entire family will be wanting this Personalized New Baby Girl Photo Mug as their own personal birth announcement. Whether you became a new parent, grandparent or auntie and uncle, your precious baby girl will look like a sweet angel on this Photo Mug - great for Personalized Grandma Gifts. Our drink ware is dishwasher safe & includes free personalization. 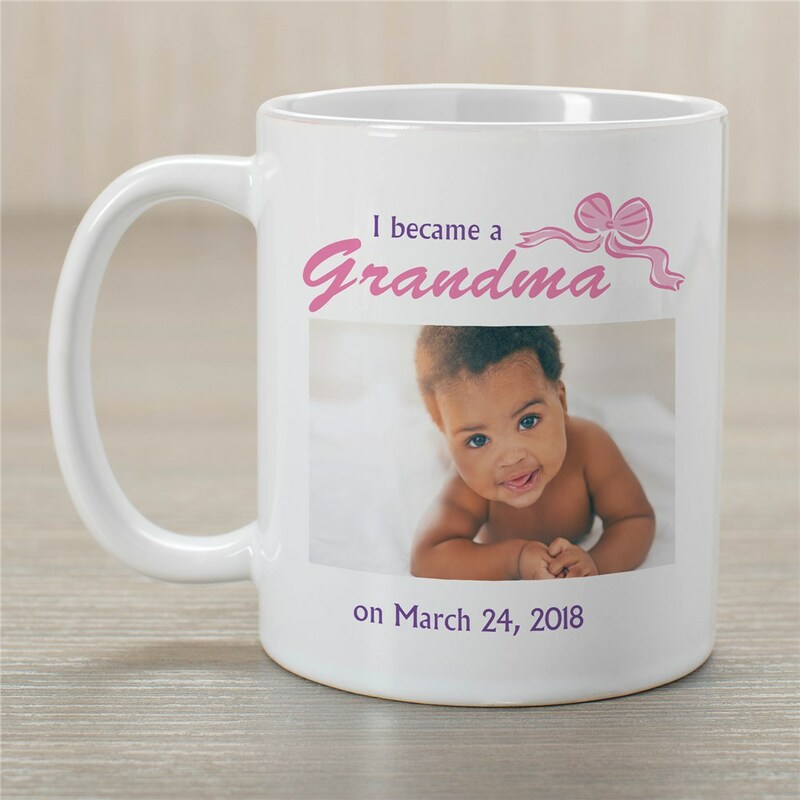 Personalize your Mug choice with any title such as grandma, mommy, daddy, auntie, etc, any photo upload and one line custom message. Mugs are available in different sizes ranging from 11 ounces to 20 ounces. Unfortunately it didn't arrive on the 18th like promised. But when I did get it I was very pleased. The order was changed after I placed it because I made the mistakes and it is a beautiful mug! GiftsForYouNow.com offers many great Personalized Gifts for Mother’s Day that your Mother or Grandmother will cherish for years to come. We also have an adorable Personalized New Parent T-Shirt and Personalized New Parent Tote Bag that Mom, Grandma’s, Aunt’s & Sisters will enjoy each and every day.